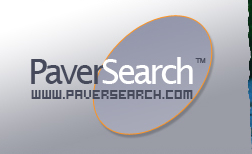 Wisconsin Counties - Find a local, pre-screened paver professional! Bend Industries has been in the masonry manufacturing field for over 75 years in the state of Wisconsin. However, it wasn't always known as Bend Industries. 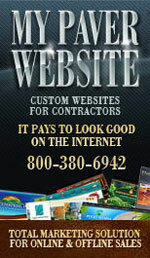 It all started with the name West Bend Concrete products, when they dealt with drain tiles and building blocks. 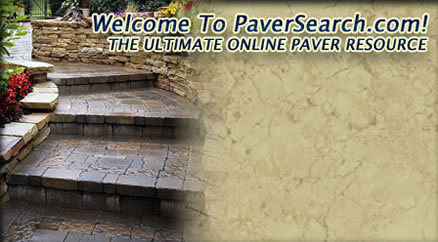 Nowadays Bend Industries is a supplier of Oldcastle's broad range of paving stones and landscaping products. Bend Industries has a large range of products on offer, such as; concrete masonry units, concrete, clay brick and stone paving products, erosion control materials, retaining walls and a variety of landscaping items like pavers and edging products. Not only does Bend Industries pride itself on the large range of masonry products they have to offer, but they also pride themselves on the first class quality of their products; ensuring that you get the right product and the most durable product for your project! With such a large range of masonry products, Bend Industries has the ability to service a wide selection of clientele. They currently serve architects, contractors and builders for all types of residential and commercial projects in the state of Wisconsin. Bend’s sales team will guide you through the whole process of your particular project, no matter how large or how small. They are friendly, experienced and ready and willing to help in any way! What make the products manufactured at Bend Industries of such high standards are their methods of engineering and design, which exceed the basic industry requirements. The products are innovative in structure, aesthetics and design characteristics. For they include special blends of colors, various shapes and textures for you to choose from. The staff at Bend Industries is there to help out with every step of your installation, from the design stage to the structural stages and the actual construction. The team has extensive knowledge and will answer any questions you may have; they can even offer some advice on styles and colors or perhaps some engineering queries. Wisconsin is located in the Midwest region of the United States. It is said that the name is derived from Indian word, meaning “red-stone place”. The name was first given to the Wisconsin River, which other theories say the meaning is “Great Rock” or “Gathering of the Waters”. The states name is abbreviated to WI. To the north of Wisconsin you have Michigan, Lake Superior and the Montreal River, to the east is Lake Michigan, the south is Illinois and to the west is St Croix River and the Mississippi River. Wisconsin can be divided into five main regions due to its wide range of geographical features. Those regions are: Lake Superior Lowland in the north, Northern Highland in the south, the Central Plains, the Eastern Ridges and Lowlands, and the Western Upland. Due to the fact that Wisconsin has such a varied and spectacular landscape, it is a popular tourist destination for its landmarks as well as its outdoor recreation activities.